It doesn’t seem like two minutes ago that I was holding my little ones in my arms for the first time and, although I would love them to stay small forever, I am under no illusion that they are going to grow up so quickly that I’ll wonder where the time has gone! It’s true what they say – time really does fly when you’re having fun! I love being a mum. I can honestly say that it is the loveliest and most rewarding job in the world but, since my little ones have found their voices, I have encountered that dreaded stage of parenthood when the only words that seem to come out of my little ones’ mouths are “I want”. Yes, both of my children are at that stage when we can’t walk into a shop without them wanting everything that they set their eyes on! So much so that it got me thinking, when is it a good time to teach your little ones the value of money? And I don’t mean sitting them down and lecturing your children about credit ratings, credit cards and complex banking, but even implementing simple games into their everyday routine will help to teach them the value of money, setting them in good stead for a positive financial future. After all, it’s important that they understand that money doesn’t just appear from thin air, and although I would love this to be true, mummy also doesn’t have a money tree at the bottom of the garden! After all, as mums and dads, role models and everything in-between, it is our job to teach our favourite little people the value of money. What to do during their early years? The sooner you start introducing your little ones to the value of money, the better, and there are lots of exciting ways to integrate fun games into your everyday routine that will help to shape your little one’s attitude and behavior towards money. I found that introducing real life scenarios into their playtime was a great way of teaching your children how to manage and use money. So, when I play with the kids at home, playtime revolves around setting up real life situations such as visiting the shops, paying for a toy in a toyshop and even paying a bill in a restaurant. Using toy money, I get the kids to count out how much each item costs and if they can afford it, they can purchase it! The kids love it! Although introducing my kids to credit is still a few years off, I do recognise the importance of teaching them the value of adopting a healthy approach to handling money, and plan to sit down with them to address credit as soon as they are old enough. After all, when they hit their teenage years those lists of wants only get bigger! But now it’s not a £10 toy that they want, it’s the latest gadgets, trainers, clothes that become at the top of their list of wants! I can’t say I’m looking forward to this stage. But to avoid your teens facing financial difficulties when they are old enough to apply for credit, it’s worthwhile teaching them the consequences of bad credit, and that they can’t always have what they can’t afford it. A good approach is to introduce them to your own credit report online (you can do this by accessing your Experian credit score), and explain to them how their actions today could impact their chances of gaining credit in the future for mortgages, houses and other milestone purchases. For many parents, it can be difficult to know when is the best time to introduce your little one’s to pocket money. 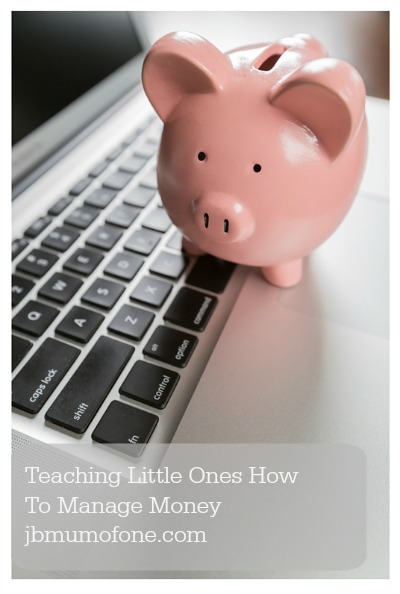 I found that by introducing your little ones to the concept of pocket money early on, you will help them to understand that if they want a special toy, or trip out, they will have to save for it! Kids love having their own piggy bank, as it only allows them to watch their money grow, it also encourages them to save! Disclosure: This guest post is brought to you by Experian and was written by Amy, an experienced finance writer.